Understanding the benefits of Recruitment Process Outsourcing (RPO) can be an uphill challenge; especially if you are still trying to define what RPO is. However, if you're tasked with attracting and retaining talent to your organization, it's important to know which recruiting strategies will most positively impact your departmental goals. There is a reason why the Recruitment Process Outsourcing (RPO) market is valued at $2.04 billion dollars. No, it's not because RPO companies are good sales people. It's because your recruiters need to be even better at selling your company to passive and active candidates. Looking to develop an HR Business Case for RPO? Look no further! Grab our presentation and get started right now! The job description of a recruiter now includes part marketer and part sales strategist. There are a number of factors responsible for this disruption within the recruiting industry. 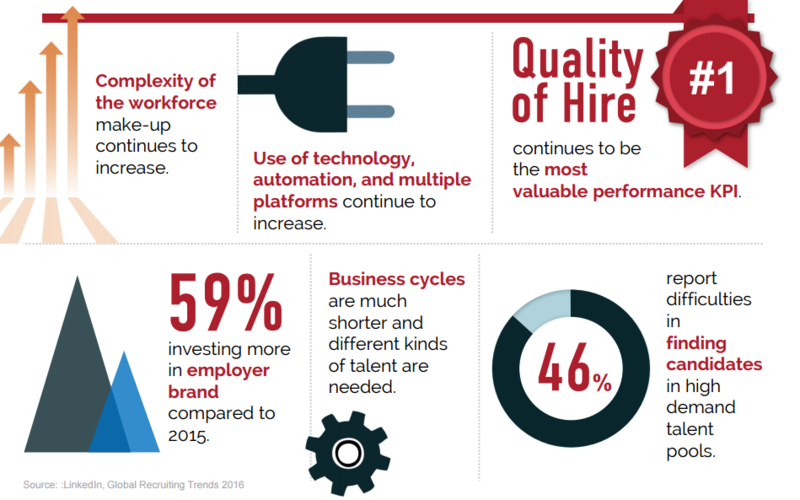 One is the increased reliance on HR technologies and job-hosting platforms; think many ways to see and apply to one job posting. Combine that with a complete overhaul of how people are searching for work and the new expectations the employee population has of their employer of choice. If you already understand what RPO is, then this downloable SlideShare will help you understand how an RPO program will enhance your organization's abilities to attract and retain new employees. 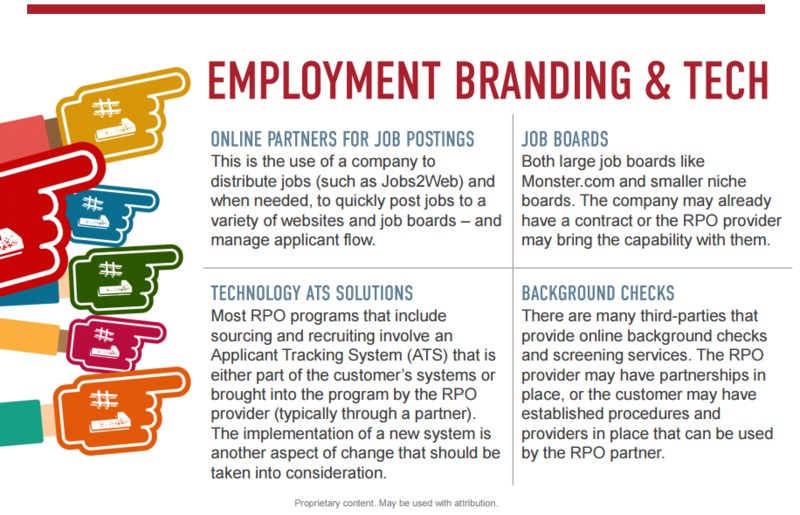 The first step to understanding the benefits of RPO is to start by identifying the gaps in your recruiting strategy. While this might seem counterintuitive, often this exercise helps organization's to focus on areas where recruitment efforts are failing or lacking completely. 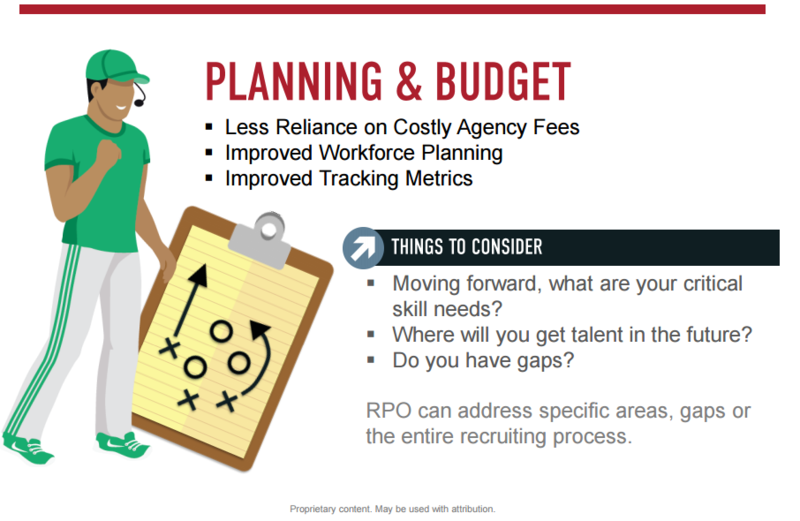 You might consider evaluating some of the elements depicted in the slide below as RPO has proven to positively impact these areas of talent acquisition. From there, you can begin to pick and choose which short- and/or long-term projects you feel are best to contract out to an RPO provider. What initiatives have you or your department failed to get off of the ground? What critical metrics are you lacking in order to secure a seat at the table? And so on, and so forth. If you are still unsure of the benefits, refer to these three commonly implemented RPO strategies for proven ROI to talent acquisition. The information featured in this blog was takes from the SlideShare: The Benefits of Outsourced Recruiting. Scoring the RPO. Click here to download, save and share the complete presentation.